About 12 seconds into this video, something unusual happens. The Earth begins to rise. 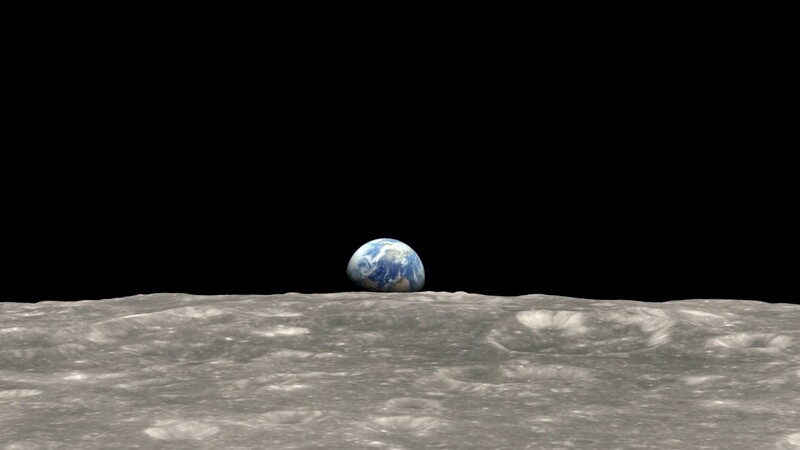 Never seen by humans before, the rise of the Earth over the limb of the Moon occurred 50 years ago tomorrow and surprised and amazed the crew of Apollo 8. 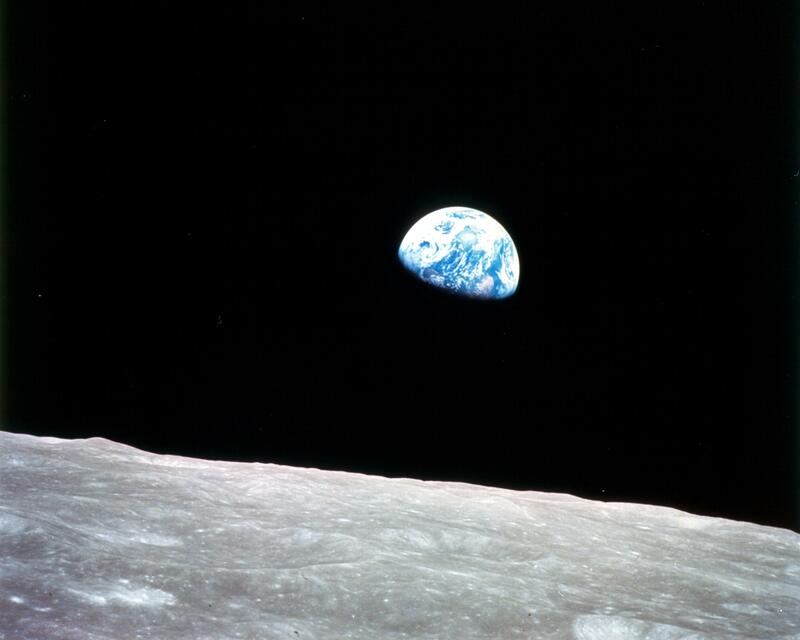 The crew immediately scrambled to take still images of the stunning vista caused by Apollo 8‘s orbit around the Moon. The featured video is a modern reconstruction of the event as it would have looked were it recorded with a modern movie camera. The colorful orb of our Earth stood out as a familiar icon rising above a distant and unfamiliar moonscape, the whole scene the conceptual reverse of a more familiar moonrise as seen from Earth. To many, the scene also spoke about the unity of humanity: that big blue marble — that’s us — we all live there. The two-minute video is not time-lapse — this is the real speed of the Earth rising through the windows of Apollo 8. Seven months and three missions later, Apollo 11 astronauts would not only circle Earth’s moon, but land on it. Posted on Sunday, 23 December 2018 by VGC	This entry was posted in ifttt-photograph and tagged IFTTT, NASA. Bookmark the permalink.